Who am I? I have been called the father of American revivalism . . . the forerunner of everyone from Dwight L. Moody to Billy Graham . . . and still, living in the Vineyard movement to the Church growth movement . . . a darling of both the religious right and the Christian left, or both to the late Jerry Falwell and Jim Wallis . . . envisioned in the church as an agent of change to both individuals and the social gospel? Have you identified me yet? If you chose Charles Grandison Finney, you have passed the test. Finney lives on in all these men and movements today. Charles G. Finney was a Presbyterian minister whose dates are 1792 to 1875. A product of the New England states, he taught in his early life and later became an attorney in New York state. One day, he decided to find God in the woods behind his law practice. He came back to his office claiming to have a baptism of the Holy Spirit which he could barely describe, so wondrous was it. Giving up his law practice, he refused to attend Princeton Seminary, or for that matter, any seminary, and still was ordained into the Presbyterian church. He began to conduct revivals then and there. What transpired was what has become known in American church history as the second great awakening. Only this awakening was diametrically different from the first great awakening. In examining Finney’s theology and subsequent preaching, listen to the words of Michael Horton. 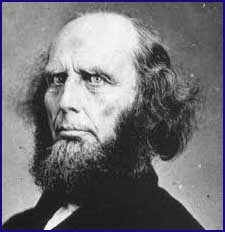 He summed up Charles Finney’s theology and subsequent preaching, as believing that God is not sovereign, that man is not a sinner by nature, that the atonement is not a true payment for sin, that justification by imputation is insulting to reason and morality, that the new birth is simply the effect of successful techniques, and that revival is a natural result of clever campaigns. He consistently held all these positions in both his campaigns and his books. In short, whatever it was that Charles Finney accomplished, his efforts were rooted in an aberrant theology known as Arminianism. And while any real spiritual results were fleeting, his methods persist to this day. How different was this from the first great awakening which was rooted in Calvinistic theology? What you would find in the first great awakening was the teaching that God was sovereign in salvation, that every human being was sinful by nature, that Jesus Christ took on human flesh to stand in our place, bearing our sin and achieving a righteousness for us which is ours by faith, that this new life in Christ is a work of the Holy Spirit, and that revival is brought about by that same Holy Spirit Who is not dependent upon human means for the accomplishment of His work. It was in 1831 that Charles Finney began a six month revival in the Presbyterian Church of Rochester, New York. He would preach close to a hundred sermons, complete with all the emotional excesses of a man-centered gospel, ending it on March 9, 1831. It was these meetings which were the zenith of his evangelistic career. He went on to other churches and revival, but would come back to Rochester two more times. Words to Live By: There are two approaches to the gospel which distinguish between the First and Second Great Awakenings. So the question is a simple one : Which do you side with — a God-centered awakening or a man-centered awakening? It was this same question which American Presbyterians had to answer in the early nineteenth century. Old School Presbyterians answered clearly in the theology of the First Great Awakening.